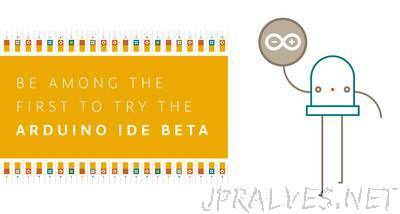 “Today we’re very excited (and a bit nervous) to announce the new development cycle of the Arduino IDE. - Attention: Launching for the first time is quite slow and will freeze the UI. Don’t worry, simply wait for it to unstick. - Initial work on daemonized builder (using file watchers, will be able to spot if compilation can be avoided, partially or totally). - AVR core has been moved to its own repo. - The serial monitor is html-aware and clickable (if steady). - Initial work on Library dependencies UI. - Initial work on Hi-DPI support on Linux. - Find/replace window is always on top of its own editor window.